On February 15th 2019 a gunman shot and killed 5 employees and shot and injured 5 Aurora police officers at Henry Pratt in Aurora IL. Aurora Illinois is OUR community and this act of violence occurred only a few blocks from our home office. In an effort to raise money for the families of the victims, we initially created a limited release "Resilience" candle. 100% of the profits for February and March were donated Aurora Strong Community fund and distributed to the families of those killed. "Resilience" represents the strength of our city, honors the courage of our first responders, and is a reminder that we will not be bullied by cowards who harm others. Due to popular demand, we decided to keep the candle permanently. Resilience was created in the wake of a terrible tragedy. It will continue indefinitely to support programs in Aurora. 50% of all profits from the sale of this candle is donated to community programs and charities in the Aurora area. We take pride in our city, we will support our neighbors, and we are #AuroraStrong. 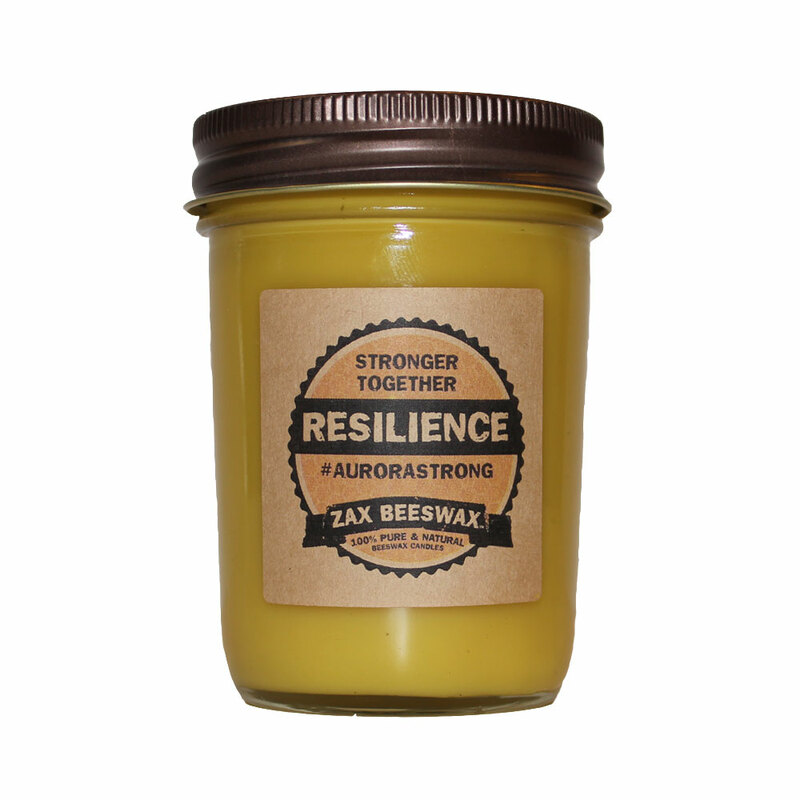 RESILIENCE - strong white grapefruit base with a subtle earthly turmeric middle, followed by a creamy vanilla finish. Excellent cause. Excellent customer service. Excellent quality. I Love this candle ! It smells great, not overpowering. It burns clean, and of course it was purchased to support the people of Aurora. It's a win, win, win, I highly recommend! Love the scent of this candle. Great quality and I look forward to trying out other products. I bought this candle without really knowing how it smelled. I was not disappointed! I love their candles. The added bonus of this candle was support it showed.